It's a shame the 226 can't use double deckers because when the 83 is removed from Ealing I predict that it will become more busy than it already is. Would be interesting to know figures on how many people use the 226 from Golders Green to Hanger Lane and Beyond. I can see why you'd think that will happen on the 226 however I think it will cope. 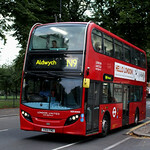 The 226 is probably slightly faster than the 83 is to reach the places it serves in common, so any one travelling between Golders Green - Hanger Lane and beyond could already be using the 226. The 483 is going to Alperton garage. I presume the drive changeovers will be done at Station bus stop. I don't think that the changeover can be done else where. Wasn't the contract for hybrids ? The contract of the 483 was awarded with part hybrids and part existing diesel buses but the contract has been downgraded to 100 % existing diesels and the hybrids for the 483 have been diverted to top up the 182. I think that kinds of disappointing I think a route like the 483 deserves hybrids. 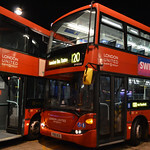 The 483's contract has been altered to full VW operation instead of part existing diesel, part new hybrid whilst the 83 was awarded with existing diesel. The 83 is continuing with its own batch but at a reduced number whilst the 483 is allocated leftover VW's from the 83 along with the ex HD & HT VW's. Before I went on it, an enthusiast that had never been on the route claimed that even 63 minutes (that late evening trips are booked for) was too much running time… no surprise that he came up with that nonsense though. It used to take roughly the time it took you with traffic back in the days of the VNL's, VNW's & VNZ's. The 25 took me a good 120 minutes end to end earlier this year. 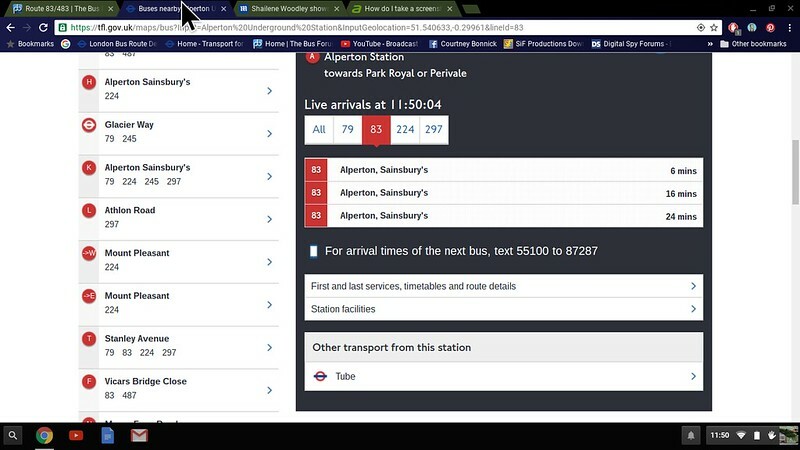 The 483 and N83 is not featured on the TFL website and says that the 83 terminates at Alperton Sainsbury's and not the Station.